• Design a restaurant / venue that will create a unique, delightful, and memorable dining experience, which will leave a positive, permanent impression on our customers. • Use high quality and fresh ingredients to deliver superior dishes at affordable prices. • To consistently push our commitment to provide excellent customer service. • To provide employment opportunities for those who are skillful in the food and beverage industry. • To establish an efficient workforce that can communicate and collaborate as a team. 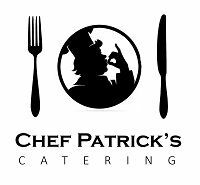 • To be the leading catering company in all of Metro Manila. To establish a leading restaurant that will provide exceptional quality food and outstanding service at reasonable prices, which caters to the students and residents in the nearby areas and to be the premiere venue for organizational events, gatherings and other functions.